The FIFA World Cup Qualification had just announced the draw for the Asians football teams. Timor Leste were put against Nepal, the Himalayas Nation. Nepal whose rank only 172 ; meanwhile, Timor Leste only rank 201. The first leg of this tournament will be at in Kathmandu, Nepal which have 42 degrees in temperature. This is a challenge for Timorese players who live in humid and hot weather. The first leg are set in June 29. 2011. Orlando Mendes, a deputy general of Federacao de Futebol de Timor Leste said that, our players will be warm by wearing a long sleeve football shirt and we will arrive in Nepal, two weeks earlier so that we could use to the weather in Nepal. 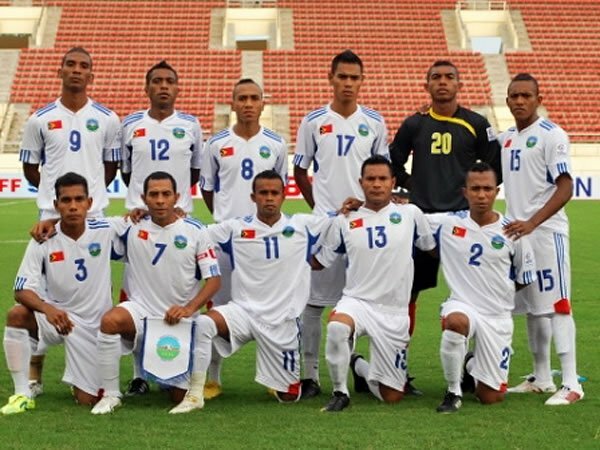 Timor Leste seleccao’s preparation for this world cup, would start in April 27, 2011; They are going to spent their training in Dili for three weeks and then they go to Jogjakarta for training and exhibition games with Indonesia’s football clubs. 29 Players will be participated in the World Cup squad, 16 players are from overseas and 13 players from local. This squad will be using Maguwoharjo Stadium, which hold 30,000 capacities, for training and second leg. Coach Antonio Carlos Viera will be joining the seleccao in April 25, 2011. The seleccao will left Jogjakarta in June 13, 2011 and will be arriving in Kathmandu on Morning June 15, 2011. Here are the Exhibition games and the list of Players. You are currently browsing the Andy1890's Blog blog archives for April, 2011.